When John Wesley was rescued from blazing house as a child, he was convinced that God had saved him for a purpose. As he grew up in eighteenth-century England, he applied all his energy towards accomplishing God's for his life. While studying in Oxford University, John led a group of men known as “ Holy Club.” They met for Bible Study and prayer, and cared for the sick, poor and imprisoned. Not long after completing his work at the university, John and his brother, Charles, sailed to America to spread Christ's message. Then something wonderful happened. On 24 May 1738, John attended a Christian meeting in London, and his life changed. In his journal, John inscribed what happened. John Wesley became one of the most influential men in the history of Christianity. During the 52 years following that experience in 1738, he preached over 40,000 sermons and travelled over 300,000 Kilometres, sharing of Christ with hundreds and thousands. ESV:In the year that King Uzziah died I saw the Lord sitting upon a throne, high and lifted up; and the train of his robe filled the temple. ESV:Above him stood the seraphim. Each had six wings: with two he covered his face, and with two he covered his feet, and with two he flew. ESV:And the foundations of the thresholds shook at the voice of him who called, and the house was filled with smoke. ESV:Then one of the seraphim flew to me, having in his hand a burning coal that he had taken with tongs from the altar. 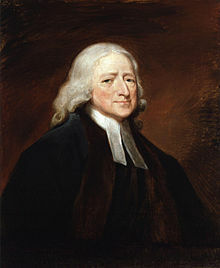 Why did both John Wesley and Isaiah need to understand God's heart and worship him before they could adequately server God? According to this passage, what do you know about God's character? Writing a song to God, praising for the qualities about him that you are true.